Humber Valley Dental Team celebrates Halloween with Caledon families at Fabulously Freaky Friday event organised by Caledon Recreation and Wellness Centre. It was a fun evening for many trick or treaters, ghosts,goblins and princesses! This is a part of our commitment to promote oral heath awareness to have a teeth friendly Halloween. We are happy to announce our Halloween Candy Exchange to support The Exchange, Caledon's food support program. It is our honor to support The Exchange, Caledon Community's food support program, the only one of its kind in the community. Through our Thanksgiving Food Drive, we donated over 100 lbs of food to support the amazing work that people at the Exchange do for our community. Big thanks to our team and our patient families who supported us with this initiative! It was a wonderful week of oral surgery with Dr Ammar Taimish and mentors of Academy of Dental Surgery in Santiago, Dominican Republic. The group was able to treat over 80 patients in need of oral surgery and care, in collaboration with great team of local dentists and dental students. A unique learning opportunity! To kick off Oral Health Month 2018, Registered Hygienist Chris Smith and CDA II and administrator Gina Broderick of Humber Valley Dental in Bolton met with parents, infants and toddlers of the Bolton community and discussed the importance of oral health in children, prevention of early childhood caries and how to prepare children for their first dental visit. We would like to thank the team at Caledon Parent Child Centre for their support in making this event possible. The long awaited event has arrived. Stephanie is happy to announce the welcome of her pride and Joy! Introducing Ava Elizabeth weighing in at 7lbs, 14oz. We send our best wishes for the new blessing in their family. Kids and Team of Humber Valley Dental were thrilled to take part in the annual Bolton Haunted Hill Run this weekend, to kick off the spirit of the season. Every winter we run a Hockey Mouth guard clinic and the proceeds go to Caledon Community services life for youth program. We had the privilege of attending the American Academy of Implant Dentistry 6th Annual conference in New Orleans. It was a pleasure meeting all the other mentors and international educators there and we look forward to seeing you next year in San Diego. The Humber Valley Dental Team was a proud to be a part of Bolton's 36th annual Terry Fox Run on Sep 18th, 2016. It was a great day for the run. Our best wishes to volunteers of Kinsman Club in Bolton who organize this event and keep Terry's dream alive! Mission of Mercy: Touching Lives through Smiles! I had the privilege to be a part of Minnesota Mission of Mercy (MOM) this weekend, a program focused on helping underserved populations of children and adults receive dental treatment that they, for whatever reason, cannot obtain. I was a part of a group of 1,000 volunteers including dentists, dental assistants ,hygienists , dental lab technicians and dental students who came together to provide free dental care to residents on July 22nd and 23rd at a clinic at Concordia College in Moorhead, Minnesota. The auditorium of the college was converted into a 100 chair dental clinic that not only provided basic dentistry like cleanings and fillings but also specialized care like pediatric dentistry, oral surgery, root canals and partial dentures to people who might otherwise never see a dentist. It was an emotional day watching people in tears of gratitude to finally have teeth they always needed and to have their families’ dental needs finally taken care of. About 2000 patients were seen over the 2 days. The very first Mission of Mercy (MOM) was launched in Virginia in 2000 and since inception, MOM events have helped over 200,000 patients and provided over $123 million in free dental services. The memories of this event will always stay with me as I continue my work in our community with renewed energy to touch lives through smiles. Humber Valley Dental was the Platinum sponsor for Caledon Chamber Concerts Grand Finale show for the 2015/2016 season. This event showcased Pianist Mauro Bertoli, an Italo-Canadian from Ottawa. Mauro is a young,upcoming and highly talented pianist who has won first prize in several national and international Piano competitions.He has been praised on numerous occasions for his formidable technique and exceptional sensitivity. Mauro has performed in several important festivals and important concert halls in Europe,North America,Israel,Brazil,South Korea and China. Mauro put ona energetic and dynamic performance for the audience and dazzled us with his technique and energy. His rendering of Muzio Clementi’s Sonata op.26,No. 3 was spectacular. Humber Valley Dental continues to support the efforts of the dedicated organizers of Caledon camber Concerts who work hard to bring young and upcoming talent to our community.We wish them success in their upcoming season. With Halloween decor and a handcrafted pumpkin filled with teeth friendly treats, our team loves to get into the spirit of Halloween. Our team members also love to go all out and dress up for this yearly event. We also take this time to remind our young patients on smart snacking. Pls read our blog on tricks for dealing with Halloween treats for more information. The Humber Valley Dental Team celebrated our 8th Midnight Madness Community event in downtown Bolton on August 21st, 2015. It was a warm and pleasant evening with fun for the entire family .The white Humber valley Dental balloons are always a big draw for the little ones and who can resist fresh popcorn! We also served our delicious patient appreciation cake. The team always looks forward to midnight madness where we can interact with people in the community and also offer oral health information. We are happy to announce our 3rd annual hockey mouthguard clinic which will kick off during Midnight Madness 2015. The goal of this program is to keep young hockey players in our community safe on the ice and during their games. This program was also aimed to support the Life for Youth Program which is a part of Caledon Community Services. Life for Youth provides young adults with an opportunity to gain employability and learn life skills through innovative classroom instruction, various in-house work placements and external work placement with an employer in the Caledon community. With the financial support from Humber Valley Dental, the Life for Youth program will be able to provide more participants with supportive job coaching and the ability to successfully discover their marketable skills to make better career choices. For 2015 we also plan to support Global dental Relief, a non-profit charitable organization where volunteer dentists, hygienists and assistants bring quality dental care to underprivileged children around many countries such as Kenya,Cambodia,Vietnam,Nepal and India. The Hockey mouthguard clinic will be held every Monday and Thursday starting Aug 27th to October 29th.We will be offering extended and after school appointment times to fit the schedules of children and families. 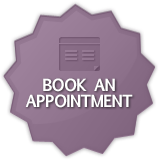 Call us today at 905 857 3398 to schedule your appointment. Dr. Geeta Gautham and Susan Smythe from Humber Valley Dental were proud to participate in the Pan Am Games Torch relay celebrations held in Bolton on June 13th 2015. With 3,000 torchbearers participating, the Pan Am torch relay is a 41-day journey that started on May 2015 with a traditional lighting ceremony at the Pyramid of the Sun in Teotihuacan, Mexico. The Canadian journey for the flame started with its arrival in Toronto on May 30, 2015. The flame will travel to the five other Canadian cities – Calgary, Winnipeg, Montreal, Halifax and the Greater Vancouver Area – and more than 130 Ontario communities, including the Town of Caledon, towards the lighting of the cauldron on July 10, 2015, during the Opening Ceremony in downtown Toronto. This proved to be a wonderful celebration where a lot of effort was put in to get the community together and bring in the spirit of the games. The Town of Caledon Parks and Recreation planned a number of activities like arts and crafts and face painting which always proves to be the point of attraction for all children. Local area athlete and Torch Bearer Heather Whittier who is a skilled athlete were chosen by the community for her commitment to volunteering and for her work with senior’s organizations and hospices in the community. She also holds a world record in the sport of Archery. As mayor Allan Thompson said “Caledon is the place to be on June 13 when the torch relay runs through our communities and makes its final stop at the Caledon Day celebration!” It surely was the place to be! Congratulations to Lorraine Bayliss and to all the volunteers who made this event possible. Humber Valley Dental is a proud supporter of Caledon Chamber Concerts ,a local community organization that is dedicated to offering the community a series of concerts presented by talented musical artists that represent classical music in an intimate setting. This year, Dr. Geeta Gautham and Dr. Maureen Jutras supported Elizabeth Schumann atpiano. Elizabeth Schumann Has performed solo recitals and chamber music concerts all over the world and is the winner of over 25 prizes including the Gilmore young artists award. Mayor Marolyn Morrison recently congratulated Dr. Geeta Gautham of Humber Valley Dental in Bolton. Dr. Gautham was the recipient of the Associate Fellow Award from American Academy of Implant Dentistry (AAID). The AAID promotes research and education in the field of implant dentistry. The award was presented to Dr.Gautham at their 61st annual conference held in Washington as a token to recognize her commitment to education and clinical experience in her field. Dr. Gautham recently took over the ownership of Humber Valley Dental, located at 25th Queen St, North in downtown Bolton, and provides all aspects of Family Dentistry, Cosmetic Dentistry and Implant Dentristry. On August 16th, Humber Valley Dental in Bolton celebrated its 25th anniversary. It serves the Bolton and Caledon community in providing all aspects of General and Family Dentistry, Cosmetic Dentistry and Oral Surgery. Humber Valley Dental was established by Dr. Maureen Jutras in 1988 who built the dental practice with a strong commitment topatient centered and quality dental care. Dr. Geeta Gautham, who joined the office in 2006 continues this tradition to patient centered dentistry in a calm and friendly office environment. Humber Valley Dental supports the community in several ways through sponsorship of many local and community events such as Midnight Madness, Caledon Chamber concerts and sports teams. To mark the 25th anniversary, it plans to initiate a scholarship fund at Humberview Secondary School and will hold sports guard clinics, the proceeds of which will go to Caledon Community Services.